Schedule a Tungsten Clustering software Proof-Of-Concept with us today! We will help you install and configure the full version of the product at no charge so you can test with your applications! Continuent solutions are quite technical so our active involvement in your evaluation has proven to provide the best POC outcomes. Questions? Please e-mail us at sales@continuent.com. Tungsten Replicator supports data replication from MySQL and Oracle sources into MySQL, Oracle, Hadoop, Vertica and other analytical database targets. Tungsten Replicator provides data replication from clustered MySQL databases to high-performance NoSQL and data analytics engines to derive insight from big data for better business decisions. Please log in to access the software downloads page. If you are an active customer and previously had access to the old website (prior to November 2016), you will need to sign up again. Sorry for the inconvenience! Deployment Flexibility – Build database clusters in any bare-metal, private cloud (VMware, Open Stack) or public cloud (Amazon AWS, Red Hat OpenShift) environments. Zero-Downtime Maintenance – Perform database maintenance, such as schema changes, upgrades to a new version of MySQL or adding new hardware, without application or service interruptions. High Availability – Automatically eplace a failed master DBMS server within seconds while maintaining continuous availability and without losing any transactions. Disaster Recovery (DR) – Switch to a hot-standby disaster recovery site running a Tungsten Clustering cluster with a single command without losing application connectivity. 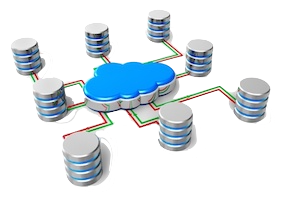 Multisite Operations with Geo-Clustering – Implement multimaster, multisite database clusters that span sites and are ready for immediate failover. Supports off-the-shelf MySQL, MariaDB and Percona Server – No software upgrade, data migration, application or DDL changes are required. Real-time Integration between the Cluster and Analytics – Tungsten Replicator provides data replication from clustered MySQL databases to high-performance NoSQL and data analytics engines to derive insight from big data for better business decisions. Tungsten Replicator also supports data replication from MySQL and Oracle sources into MySQL, Oracle, Hadoop, Vertica and other analytical database targets. Tungsten Clustering operates equally well in cloud and on-premises deployments. Schedule Now! Schedule a Tungsten Clustering software Proof-Of-Concept with us today – we will help you install and configure the full version of the product at no charge so you can test with your applications!